Biotin is a vitamin that is present in many food items in small quantities. Biotin helps in controlling hair loss, brittle nails and to treat skin conditions like itching and rashes. Biotin is normally taken orally to treat the root causes of these conditions. These days, many shampoos are also fortified with biotin. These shampoos help you get rid of problems like thinning hair and rough texture. So if you are suffering from hair fall and thinning hair, a shampoo that is rich in Biotin could be the remedy that you are looking for. We give you here some of the best biotin shampoos for healthy hair. Pick one of them to nourish your hair and make it healthy and lustrous. 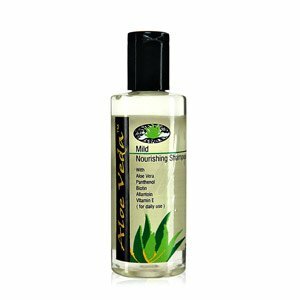 The Aloe Veda Mild Nourishing Shampoo has mild cleansers and conditioners, making it very suitable for daily use. The shampoo contains aloe vera and allantoin which have antibiotic properties and help in soothing the scalp and in keeping it moisturized. The added biotin in the shampoo nourishes your scalp and keeps the roots and hair healthy. The shampoo balances the pH level of the scalp and keeps it irritation free. It comes in a 200 ml bottle that is priced at Rs. 130. 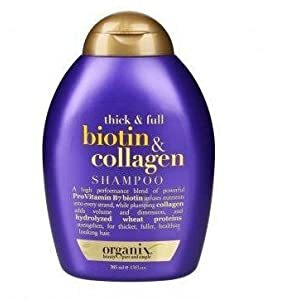 The Organix Thick and Full Biotin and Collagen Shampoo makes the hair strands thicker and your hair volume fuller just after one use. The volumizing formula containing biotin and collagen boosts the strength and thickness of your thinning hair and makes it bouncy and full. It is priced at Rs. 725 for 385 ml. 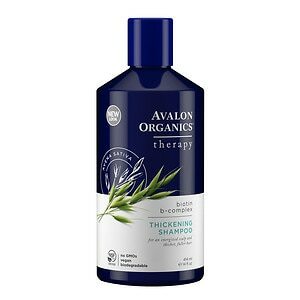 The Avalon Organic Biotin B Complex Thickening Shampoo is a proven blend of ingredients to improve the thickness of hair and encourage new growth. The shampoo contains biotin, jojoba oil, wheat protein and essential oils. It cleans and nourishes the hair right from the follicle through the entire shaft. The organic shampoo is pH balanced and is priced at Rs. 578 for 414 ml. The Milk Creek Biotin Shampoo is formulated to replenish the essential nutrients in the scalp. It contains biotin along with panthenol, niacin and folic acid. The shampoo also contains keratin, jojoba and aloe vera that help in making the hair healthy and full bodied. For an uplifting fragrance after each wash, the shampoo has peppermint extracts. Using the Milk Creek Biotin Shampoo will leave your hair thick and shiny and full of freshness. It is organic and cruelty-free. It is priced at Rs. 370 for 474 ml. The Nature’s Gate Biotin Strengthening Shampoo is a wonderful remedy if you want to fortify weak and thinning hair. The shampoo is sulfate and paraben free. The biotin and an array of amino acids in the shampoo help in making the hair stronger and fuller in volume. It also contains soy and vegetable proteins, niacin, jojoba oil, Vitamins C and E, all of which help in making the hair healthier, diminishing split ends and conditioning the hair. It is priced at Rs. 1900 for 500 ml.